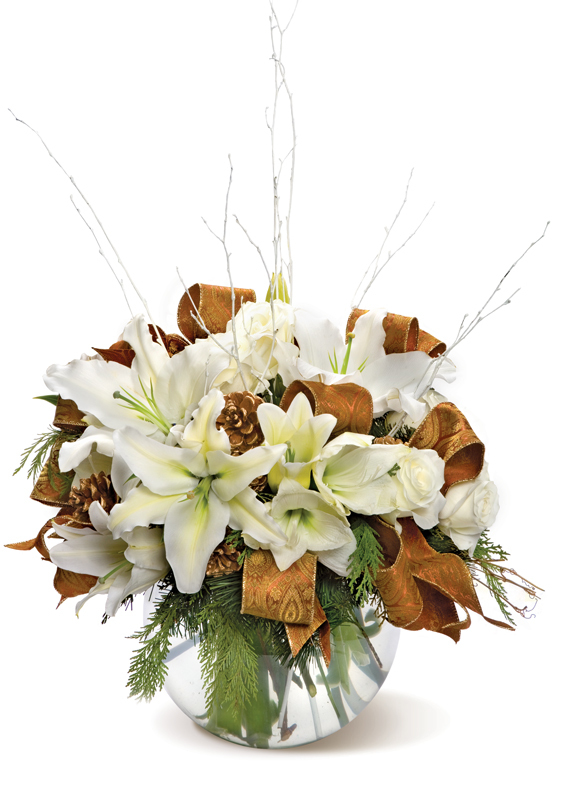 White lilies are accented with gold pinecones and white branches. 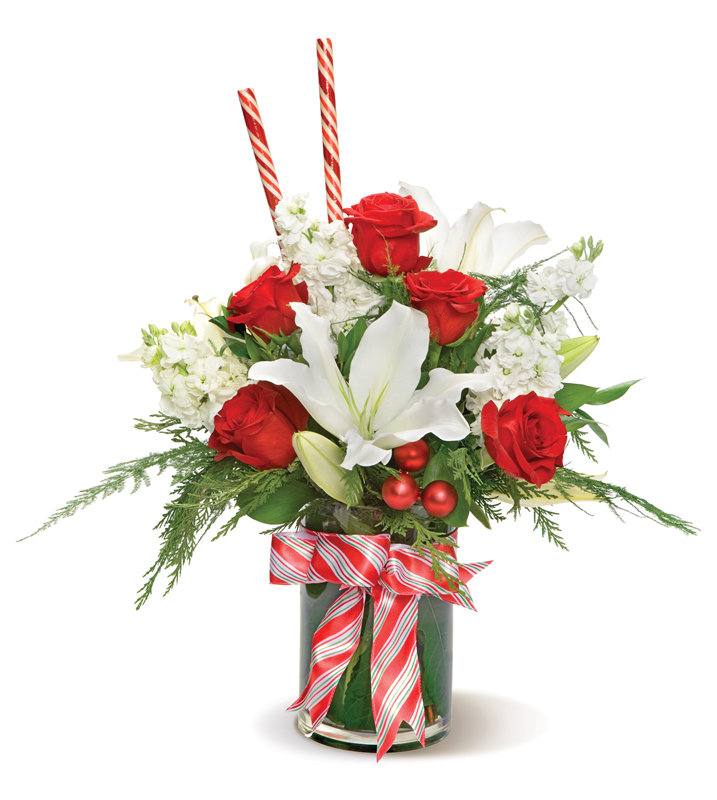 DELIVERY ZIP/POSTAL CODE * * Selet an option..90001 - $15.9590006 - $14.0090007 - $10.0090010 - $15.9592127 - $8.00 DELIVERY ZIPCODE is a required field. 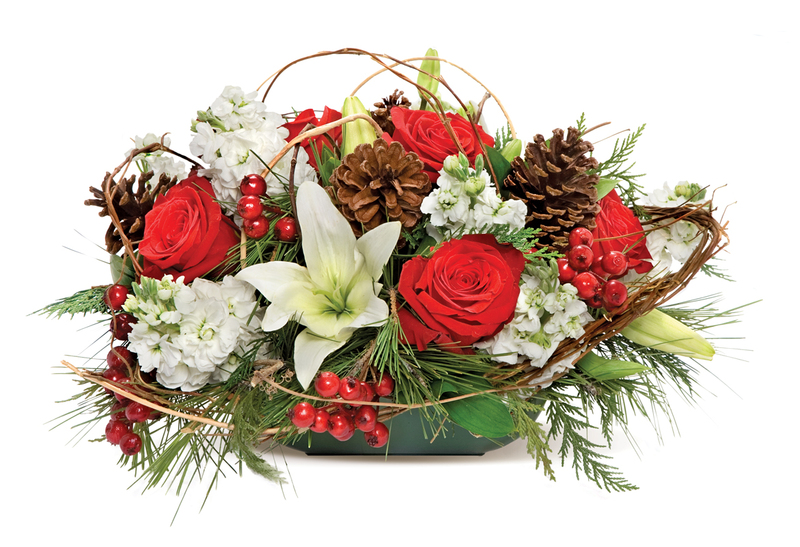 This elegant white and gold centerpiece will add class to any table setting.